Meet Santa Claus and his reindeers at Iran Farmi! 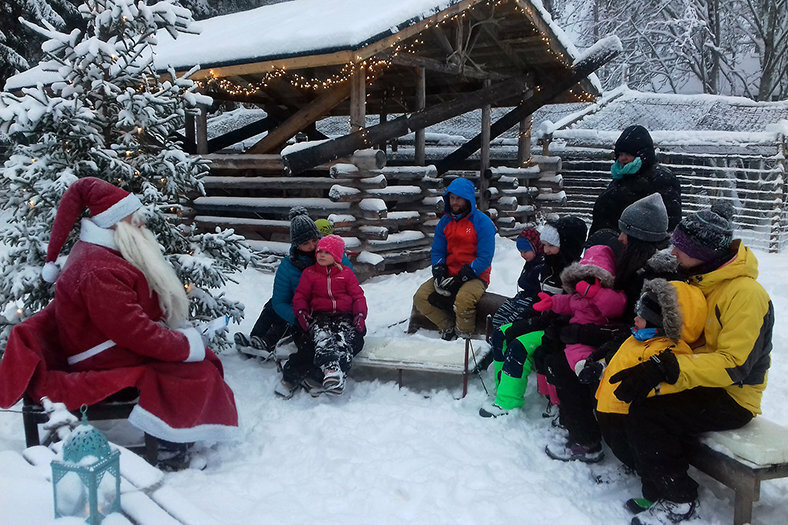 Santa Claus will stop during his travels Iran Farmi, in the heart of Finland, near Haapakoski. No wonder, because here are some of his reindeers, a herd of 9 animals. Come and spend time with Father Christmas and his reindeers! The reindeers are living here all year, so you can come and see them in a quite short notice. But please contact Ira anyway at least one day before the visit! The Santa Claus himself is at Iran Farmi only by request. Please remember to contact Ira at least 2 days before visiting him. 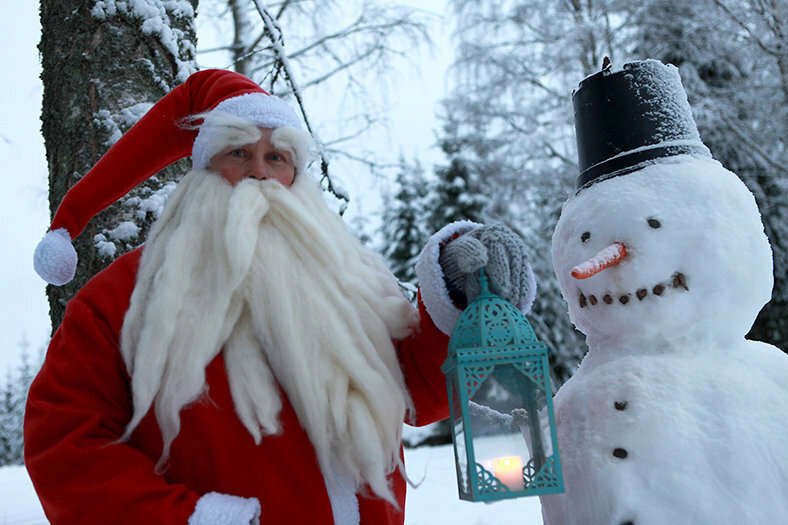 You can meet Santa Claus from 1th of December to 10th of January. We speak English and Deutsch. If you like to, you can take Christmas presents with you and Santa Claus can give them to your children. There are also many other animals you can see here in addition to the reindeers, like goats, ducks and geese. You can feed the reindeers and goats; they are very friendly and curious. We have also several dogs and cats which might come to say hello. Most of our birds are spending their winter inside and they are only to be seen in Facebook (“Iran Farmi”). We are situated 75 kilometers from Kangasniemi. Our address is Kumpusentie 812, Pieksämäki. Contact: Call Ira or send a text message +358 400 671 260 (speaking Finnish and English). Remember to wear warm clothes, because we will be outdoors during the visit! You are very welcome! 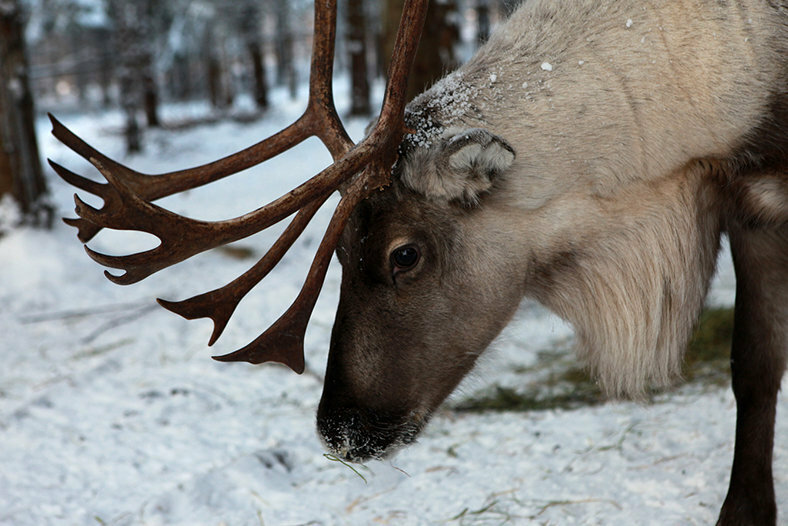 Visiting the reindeers & other animals: 100 €/group (about 1 hour, max 10 people). Santa Claus & Reindeers (& other animals) 200 €/group (about 2 hours, max 10 people). 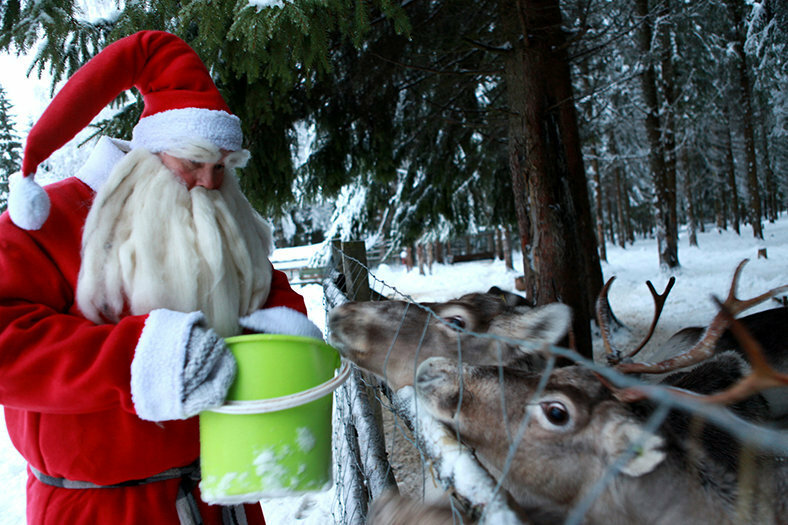 Santa Claus & Reindeers & hot drink & cookies 250 €/group (about 2 hours, max 10 people). Payments only with cash!